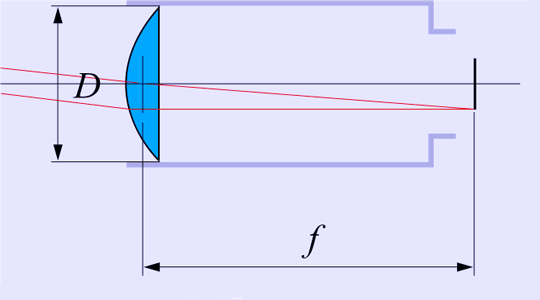 In optics, the f-number (sometimes called focal ratio, f-ratio, or relative aperture) of an optical system expresses the diameter of the entrance pupil in terms of the effective focal length of the lens; in simpler terms, the f-number is the focal length divided by the aperture diameter. It is a dimensionless number that is a quantitative measure of lens speed, an important concept in photography. where f is the focal length, and D is the diameter of the entrance pupil. By convention, "f/#" is treated as a single symbol, and specific values of f/# are written by replacing the number sign with the value. For example, if the focal length is 16 times the pupil diameter, the f-number is f/16, or N = 16. The greater the f-number, the less light per unit area reaches the image plane of the system. The literal interpretation of the f/N notation for f-number N is as an arithmetic expression for the effective aperture diameter (input pupil diameter), the focal length divided by the f-number: D = f / N.
The pupil diameter is proportional to the diameter of the aperture stop of the system. In a camera, this is typically the diaphragm aperture, which can be adjusted to vary the size of the pupil, and hence the amount of light that reaches the film or image sensor. Other types of optical system, such as telescopes and binoculars may have a fixed aperture, but the same principle holds: the greater the focal ratio, the fainter the images created (measuring brightness per unit area of the image). Note that the common assumption in photography that the pupil diameter is equal to the aperture diameter is not correct for all types of camera lens. A 100mm lens with an aperture setting of f/4 will have a pupil diameter of 25mm. 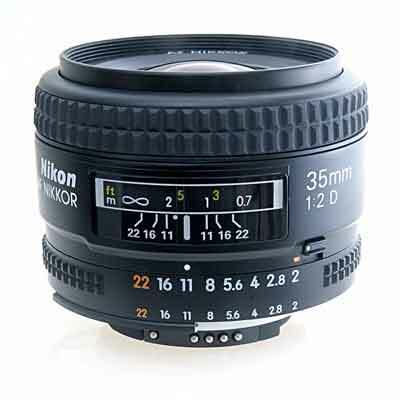 A 135mm lens with a setting of f/4 will have a pupil diameter of 33.8mm or 34mm. The 135mm lens' f/4 opening is larger than that of the 100mm lens though both will transmit the same amount of light to the film or sensor. A focal ratio of f/16 tells us that the physical aperture inside the camera lens has a pupil diameter equal to one sixteenth of that lens' focal length and this applies to all lenses using this designation. In photography, stops are also a unit used to quantify ratios of light or exposure, with one stop meaning a factor of two, or one-half. The one-stop unit is also known as the EV (exposure value) unit. On a camera, the f-number is usually adjusted in discrete steps, known as f-stops. Each "stop" is marked with its corresponding f-number, and represents a halving of the light intensity from the previous stop. This corresponds to a decrease of the pupil and aperture diameters by a factor of √2 or about 1.414, and hence a halving of the area of the pupil. Modern lenses use a standard f-stop scale, which is an approximately geometric sequence of numbers that corresponds to the sequence of the powers of √2 (1.414): f/1, f/1.4, f/2, f/2.8, f/4, f/5.6, f/8, f/11, f/16, f/22, f/32, f/45, f/64, f/90, f/128, etc. The values of the ratios are rounded off to these particular conventional numbers, to make them easy to remember and write down. The slash indicates division. For example, f/16 means that the pupil diameter is equal to the focal length divided by sixteen; that is, if the camera has an 80 mm lens, all the light that reaches the film passes through a virtual disk known as the entrance pupil that is 5 mm (80 mm/16) in diameter. The location of this virtual disk inside the lens depends on the optical design. It may simply be the opening of the aperture stop, or may be a magnified image of the aperture stop, formed by elements within the lens. Shutter speeds are arranged in a similar scale, so that one step in the shutter speed scale corresponds to one stop in the aperture scale. Opening up a lens by one stop allows twice as much light to fall on the film in a given period of time, therefore to have the same exposure at this larger aperture, as at the previous aperture, the shutter speed is set twice as fast (i.e. the shutter is open half as long); the film will usually respond equally to these equal amounts of light, since it has the property known as reciprocity. Alternatively, one could use a film that is half as sensitive to light, with the original shutter speed. Photographers sometimes express other exposure ratios in terms of 'stops'. If we ignore the f-number markings, the f-stops make a logarithmic scale of exposure intensity. Given this interpretation, you can then think of taking a half-step along this scale, to make an exposure difference of "half a stop". while shutter speeds in reciprocal seconds have a few conventional differences in their numbers (1/15, 1/30, and 1/60 second instead of 1/16, 1/32, and 1/64). In practice the maximum aperture of a lens may not be an integral power of (i.e. to the power of a whole number), in which case it is usually a half or third stop above or below an integral power of . Since all lenses absorb some portion of the light passing through them (particularly zoom lenses containing many elements), T-stops are sometimes used instead of f-stops for exposure purposes, especially for motion picture camera lenses. The practice became popular in cinematographic usage before the advent of zoom lenses, where fixed focal length lenses were calibrated to T-stops: This allowed the turret-mounted lenses to be changed without affecting the overall scene brightness. Lenses were bench-tested individually for actual light transmission and assigned T stops accordingly (The T in T-stop stands for transmission), but modern cinematographic lenses now usually tend to be factory-calibrated in T-stops. T-stops measure the amount of light transmitted through the lens in practice, and are equivalent in light transmission to the f-stop of an ideal lens with 100% transmission. Since all lenses absorb some quantity of light, the T-number of any given aperture on a lens will always be greater than the f-number. In recent years, advances in lens technology and film exposure latitude have reduced the criticality of t-stop values. Remember: F-stops are for geometry, T-stops are for transmission. Depth of field increases with f-number, as illustrated in the photos below. This means that photos taken with a low f-number will tend to have one subject in focus, with the rest of the image out of focus. This is frequently useful for nature photography or certain special effects. The depth of field of an image produced at a given f-number is dependent on other parameters as well, including the focal length, the subject distance, and the format of the film or sensor used to capture the image. Smaller formats will have a deeper field than larger formats at the same f-number for the same distance of focus and same angle of view. Therefore, reduced-depth-of-field effects, like those shown here, will require smaller f-numbers (and thus more complex optics) than do larger format cameras. Picture sharpness also varies with f-number. The optimal f-stop varies with the lens characteristics. For modern standard lenses having 6 or 7 elements, the sharpest image is often obtained around f/5.6–f/8, while for older standard lenses having only 4 elements (Tessar formula) stopping to f/11 will give the sharpest image. The reason the sharpness is best at medium f-numbers is that the sharpness at high f-numbers is constrained by diffraction, whereas at low f-numbers limitations of the lens design known as aberrations will dominate. The larger number of elements in modern lenses allow the designer to compensate for aberrations, allowing the lens to give better pictures at lower f-stops. Light falloff is also sensitive to f-stop. Many wide-angle lenses will show a significant light falloff (vignetting) at the edges for large apertures. To measure the actual resolution of the lens at the different f-numbers it is necessary to use a standardized measurement chart like the 1951 USAF Resolution Test Chart. The f-number of the human eye varies from about f/8.3 in a very brightly lit place to about f/2.1 in the dark. Toxic substances and poisons (like Atropine) can significantly reduce this range. Pharmaceutical products such as eye drops may also cause similar side-effects. In astronomy, the f-number is commonly referred to as the focal ratio (or f-ratio). It is still defined as the focal length f of an objective divided by its diameter D or by the diameter of an aperture stop in the system. Even though the principles of focal ratio are always the same, the application to which the principle is put can differ. In photography the focal ratio varies the focal-plane illuminance (or optical power per unit area in the image) and is used to control variables such as depth of field. When using an optical telescope in astronomy, there is no depth of field issue, and the brightness of stellar point sources in terms of total optical power (not divided by area) is a function of absolute aperture area only, independent of focal length. The focal length controls the field of view of the instrument and the scale of the image that is presented at the focal plane to an eyepiece, film plate, or CCD. 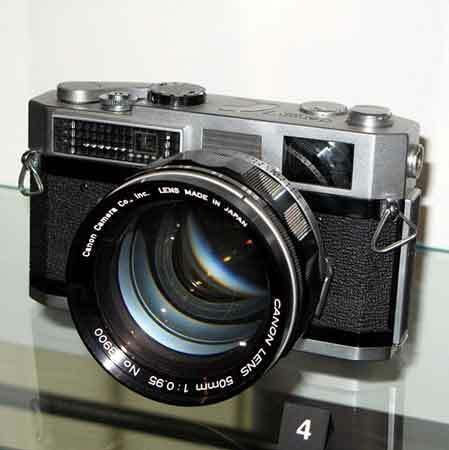 where N is the uncorrected f-number, "NA" is the numerical aperture of the lens, and m is the lens's magnification for an object a particular distance away. (Note that the magnification m here is negative for the common case where the image is inverted.) In photography, the working f-number is described as the f-number corrected for lens extensions by a "bellows factor". This is of particular importance in macro photography. The rapidity of a lens depends upon the relation or ratio of the aperture to the equivalent focus. To ascertain this, divide the equivalent focus by the diameter of the actual working aperture of the lens in question; and note down the quotient as the denominator with 1, or unity, for the numerator. Thus to find the ratio of a lens of 2 inches diameter and 6 inches focus, divide the focus by the aperture, or 6 divided by 2 equals 3; i.e., 1/3 is the intensity ratio. It must be observed, however, that in order to find the real intensity ratio, the diameter of the actual working aperture must be ascertained. This is easily accomplished in the case of single lenses, or for double combination lenses used with the full opening, these merely requiring the application of a pair of compasses or rule; but when double or triple-combination lenses are used, with stops inserted between the combinations, it is somewhat more troublesome; for it is obvious that in this case the diameter of the stop employed is not the measure of the actual pencil of light transmitted by the front combination. To ascertain this, focus for a distant object, remove the focusing screen and replace it by the collodion slide, having previously inserted a piece of cardboard in place of the prepared plate. Make a small round hole in the centre of the cardboard with a piercer, and now remove to a darkened room; apply a candle close to the hole, and observe the illuminated patch visible upon the front combination; the diameter of this circle, carefully measured, is the actual working aperture of the lens in question for the particular stop employed. For example, the Uniform System (U.S.) of apertures was adopted as a standard by the Photographic Society of Great Britain in the 1880s. Bothamley in 1891 said "The stops of all the best makers are now arranged according to this system." U.S. 16 is the same aperture as f/16, but apertures that are larger or smaller by a full stop use doubling or halving of the U.S. number, for example f/11 is U.S. 8 and f/8 is U.S. 4. The exposure time required is directly proportional to the U.S. number. Eastman Kodak used U.S. stops on many of their cameras at least in the 1920s. 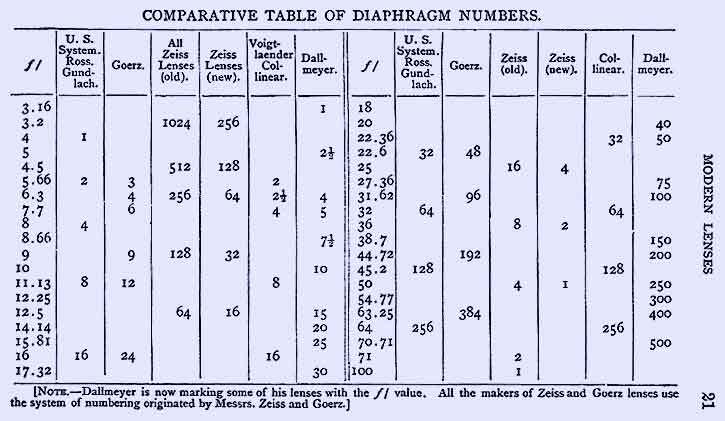 Piper in 1901 discusses five different systems of aperture marking: the old and new Zeiss systems based on actual intensity (proportional to reciprocal square of the f-number); and the U.S., C.I., and Dallmeyer systems based on exposure (proportional to square of the f-number). He calls the f-number the "ratio number," "aperture ratio number," and "ratio aperture." He calls expressions like f/8 the "fractional diameter" of the aperture, even though it is literally equal to the "absolute diameter" which he distinguishes as a different term. He also sometimes uses expressions like "an aperture of f 8" without the division indicated by the slash. Beck and Andrews in 1902 talk about the Royal Photographic Society standard of f/4, f/5.6, f/8, f/11.3, etc. The R.P.S. had changed their name and moved off of the U.S. system some time between 1895 and 1902. Modern conventions have rounded the numbers from f/5.66 to f/5.6, f/11.13 to f/11, and f/44.72 to f/45. This is only for ease of writing – the actual ratio of aperture size to focal length is still based off the doubling or halving of the amount of light getting through the lens. 2. ^ Eastman Kodak, "H2: Kodak Motion Picture Camera Films", November 2000 revision. Retrieved 2007-09-02. 3. ^ Michael John Langford (2000). Basic Photography. Focal Press. ISBN 0240515927. 5. ^ a b Greivenkamp, John E. (2004). Field Guide to Geometrical Optics, SPIE Field Guides vol. FG01, SPIE. ISBN 0-8194-5294-7. p. 29. 6. ^ Thomas Sutton and George Dawson, A Dictionary of Photography, London: Sampson Low, Son & Marston, 1867, (p. 122). 7. ^ a b John Henry Dallmeyer, Photographic Lenses: On Their Choice and Use—Special Edition Edited for American Photographers, pamphlet, 1874. 8. ^ a b Siegfried Czapski, Theorie der optischen Instrumente, nach Abbe, Breslau: Trewendt, 1893. 9. ^ Henry Crew, "Theory of Optical Instruments by Dr. Czapski," in Astronomy and Astro-physics XIII pp. 241–243, 1894. 10. ^ Thomas R. Dallmeyer, Telephotography: An elementary treatise on the construction and application of the telephotographic lens, London: Heinemann, 1899. 11. ^ C. H. Bothamley, Ilford Manual of Photography, London: Britannia Works Co. Ltd., 1891. 12. ^ John A. Hodges, Photographic Lenses: How to Choose, and How to Use, Bradford: Percy Lund & Co., 1895. 13. ^ C. Welborne Piper, A First Book of the Lens: An Elementary Treatise on the Action and Use of the Photographic Lens, London: Hazell, Watson, and Viney, Ltd., 1901. 14. ^ Conrad Beck and Herbert Andrews, Photographic Lenses: A Simple Treatise, second edition, London: R. & J. Beck Ltd., c. 1902. 16. ^ Ives, Herbert Eugene (1920). Airplane Photography (Google), Philadelphia: J. B. Lippincott, p. 61. Retrieved on 2007-03-12. 17. ^ Mees, Charles Edward Kenneth (1920). The Fundamentals of Photography . Eastman Kodak, p. 28. Retrieved on 2007-03-12. 18. ^ Derr, Louis (1906). Photography for Students of Physics and Chemistry (Google), London: Macmillan, p. 83. Retrieved on 2007-03-12.